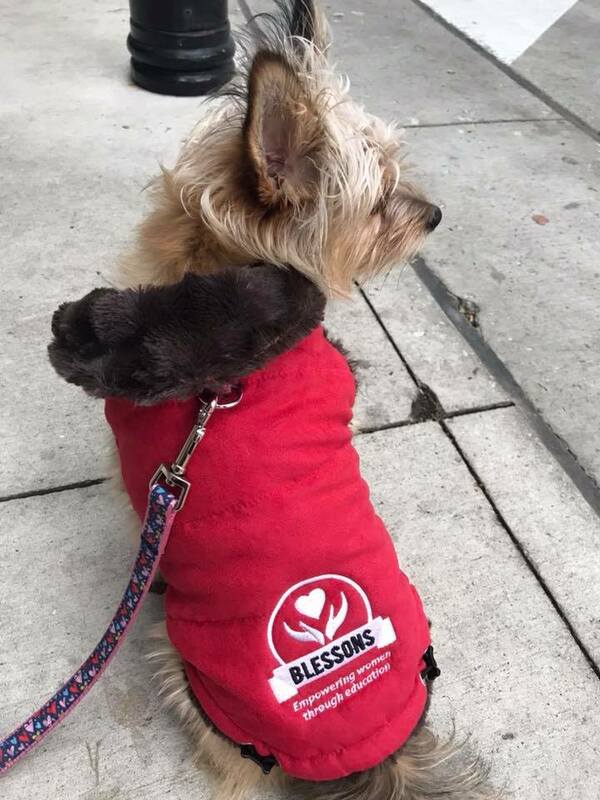 Share your Blessons story with us below! Become a Mentor for another woman who needs to talk to someone who's walked the same walk . Help her turn her wounds into wisdom. The following information will be helpful in pairing you to your mentee with the goal of matching you with the right person to Mentor. Do you identify as heterosexual, lesbian, gay, bisexual, trans* or queer women? Please list all languages you are fluent in. Share with us any challenging life lesson(s) that you experienced and viewed the blessings that were taught out of it. How did you overcome? Please explain why are you interested in becoming a Mentor and how you will make an impact as a Blessons Mentor. Blessons believes that every woman should have a safe space to share their challenging life lesson while empowering one another. What city do you currently live in? Are you married,divorced, widowed? Have any children and how old? Are you currently attending a 2-year or 4-yr college/university, trade school, tech or a vocational program? Or have you already graduated and from where & when? What do you currently do for a living? Career path? Where would you like to see yourself in the future? Are you a survivor of physical or emotional abuse? If yes, are you in counseling/therapy and for how long? Do you go to counseling? If you have children, are they also in counseling? Have you been living away from the abuser? Do you believe that all our Blessons Scholarship Award recipients who are survivors of abuse should be required to participate in a mentorship program through any non-profit organization that specializes in victims of domestic abuse or is already been in part of a program prior to applying for a Blessons Scholarship in order to accept the award? Are you a first-generation female immigrant in the United States (first in your immediate family to be born in the US)? Do you take care of any family members or contribute to your household financially? Are you financially independent? Did you take advantage of any resources such as scholarships/grants, that supported first-generation female immigrants in completing their higher education? Or were there any available? Please explain. Have you had your higher education put on hold/interrupted due to challenging life lessons such as cancer, mental illness/disorders (including depression, anxiety, PTSD, eating disorders, etc. ), emotional or physical abuse, or a first- generation female immigrant, while in enrolled in college, trade school, tech or vocational program? Please explain: What is or was your continuing education experience like? Did you attend right after high school as a traditional college student (under 25) or as a non-traditional student (25 and older)? If you graduated, how long did it take you to graduate? How many colleges or programs have you enrolled in so far on your journey toward completing your higher education? Have you ever applied and/or been qualified or denied through FAFSA for any grants, student loans and/or any scholarships? Please explain in detail whether your answer is yes or no. List all awards you have accepted. Are you interested in becoming a What’s Your BS mentor? If yes, we’ll contact you to learn more! If not self-employed, does your employer provide an employee donation matching gift program and/or employee volunteer grants to the charity of the employee's choice? If requested, are you able to provide Blessons a minimum of two photos (including any that are school related such as graduation photo if available, a picture of your business or anything that expresses where you are in your life today professionally and one personally) to be featured with your Blessons Story on our website? Please print your name and enter the date to agree to the terms and conditions. Thank you for sharing your "What's Your BS?" - A Women's Blessons Story. You are grateful to share your story while empowering more women to learn how to view the blessings from their challenging lessons through you. If you have any further questions about the process, please email us at info@blessons.org. The tougher the lesson, the bigger the blessing. When you look at a person, any person, remember that everyone has a story. Everyone has gone through something that has changed them. Life can feel like a test that we didn’t study for. Painful and challenging lessons in life will continue to be repeated until they are learned. The greatest prison that we live in, is the fear of what other people think. Your story is the key that can unlock someone else’s prison. From every wound there is a scar and every scar tells a story. A story that says, 'I survived'. Never be ashamed of your story. It just might empower and save a life. The impact of having someone to talk to, a mentor, that understands your challenging life lessons because they too have experienced similar experiences, is one of the best practices of empowerment.